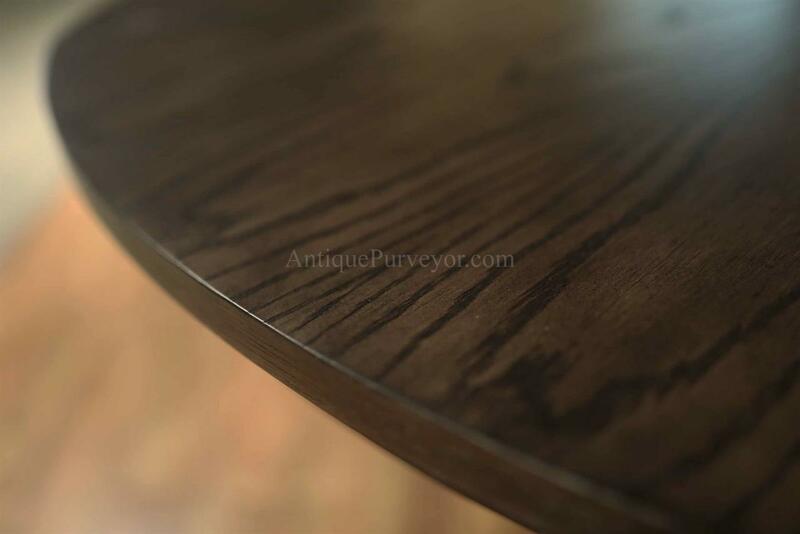 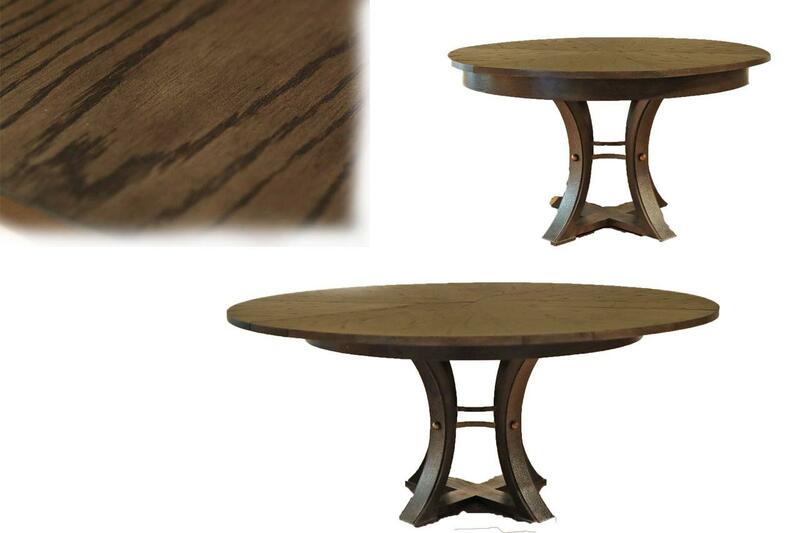 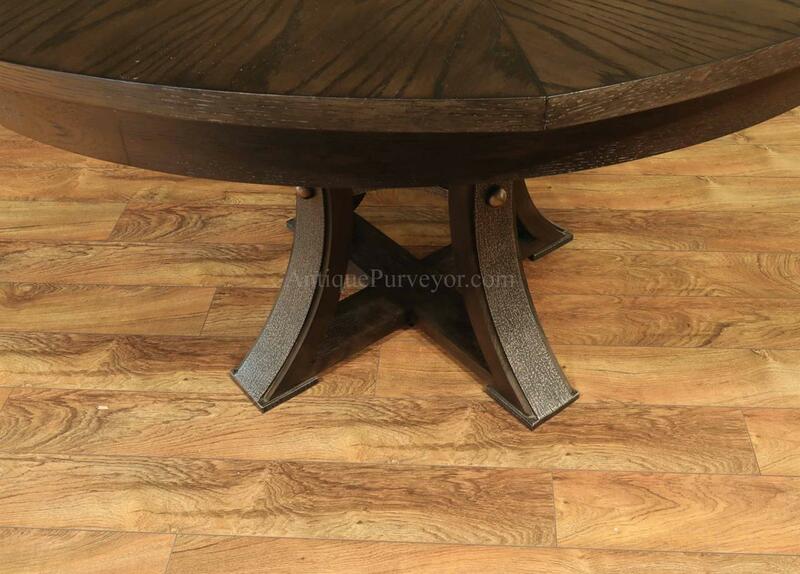 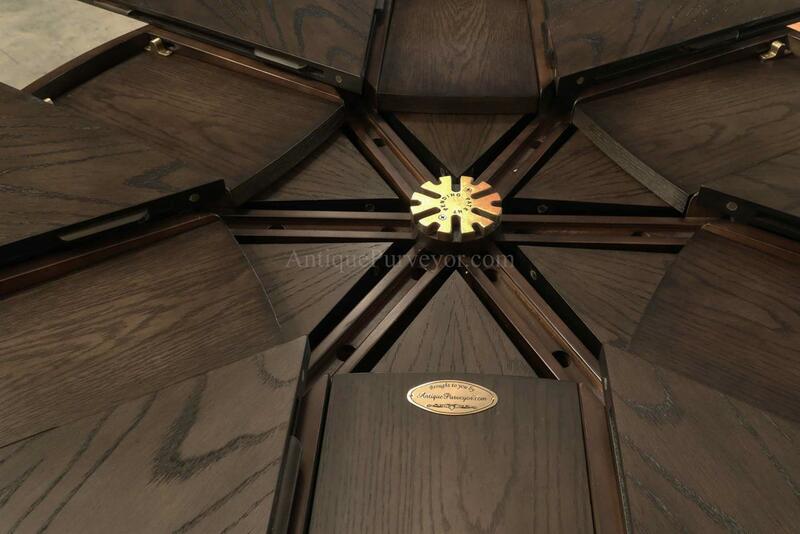 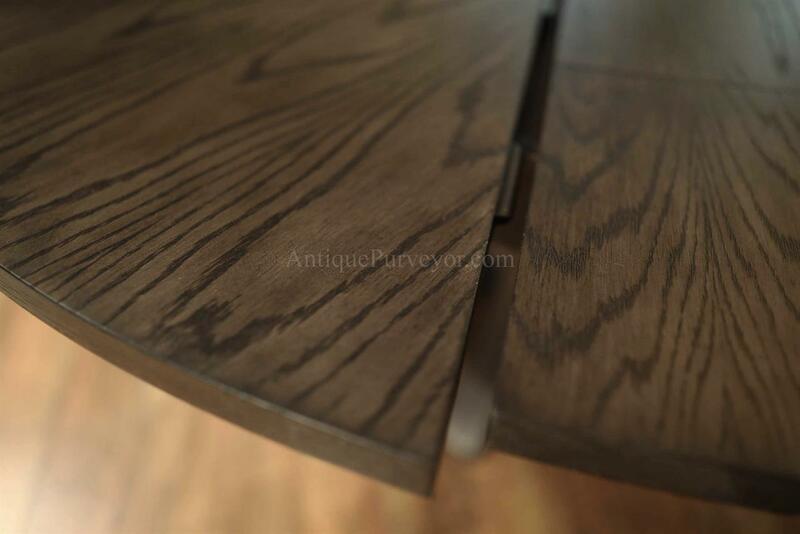 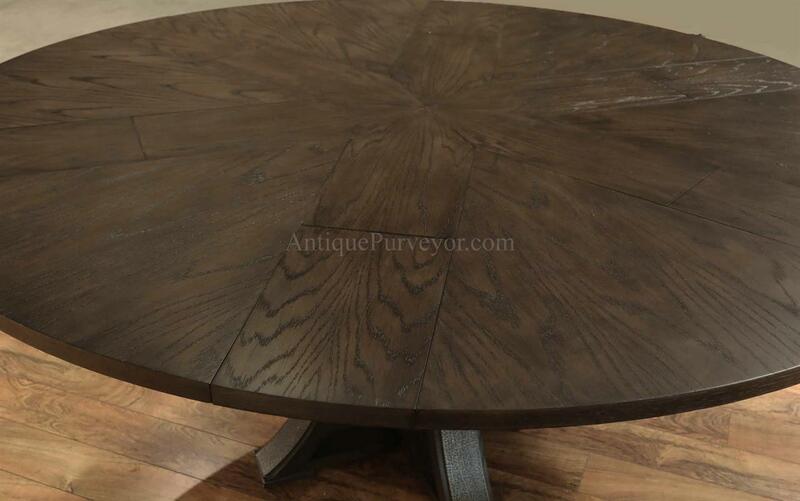 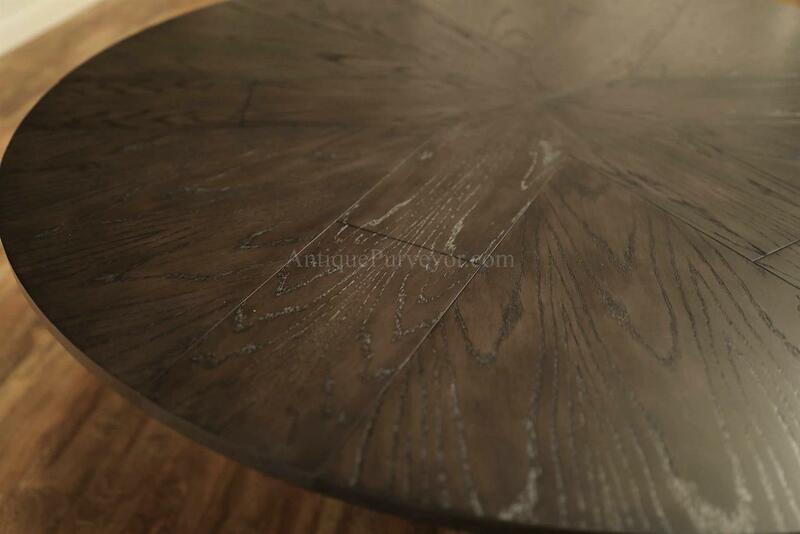 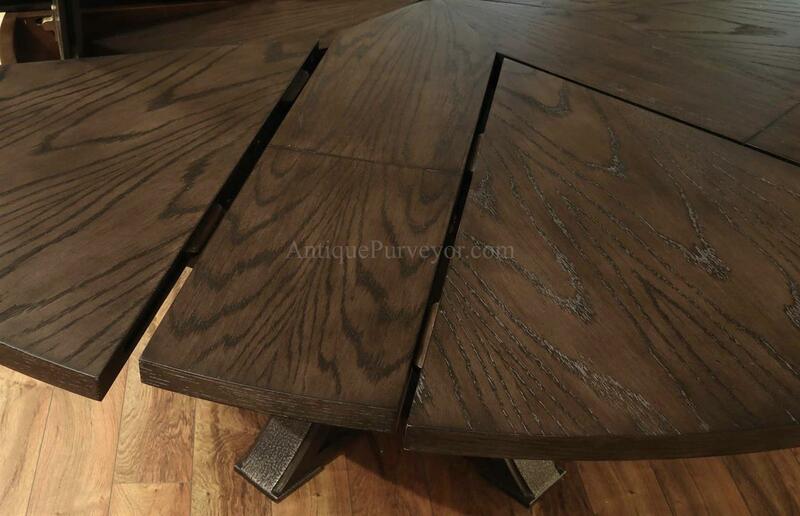 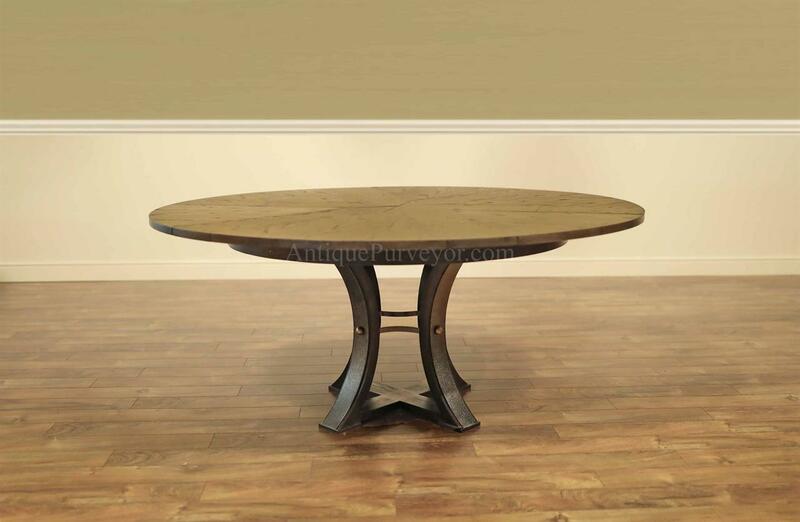 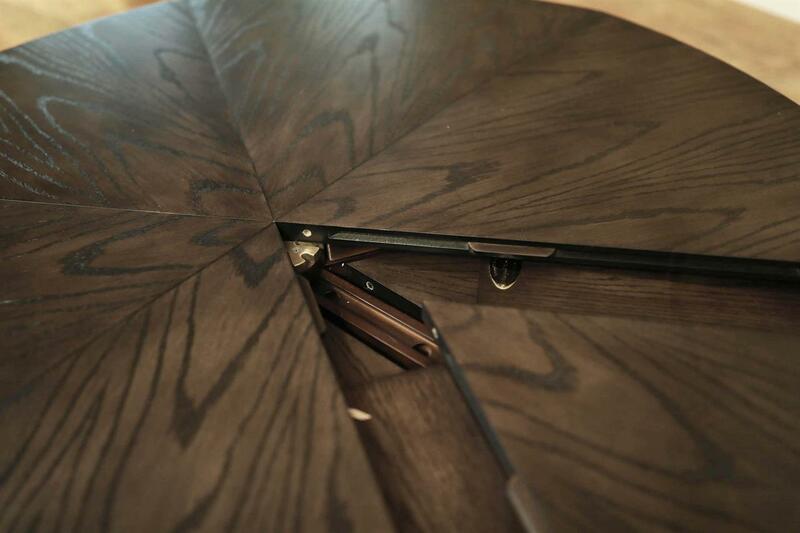 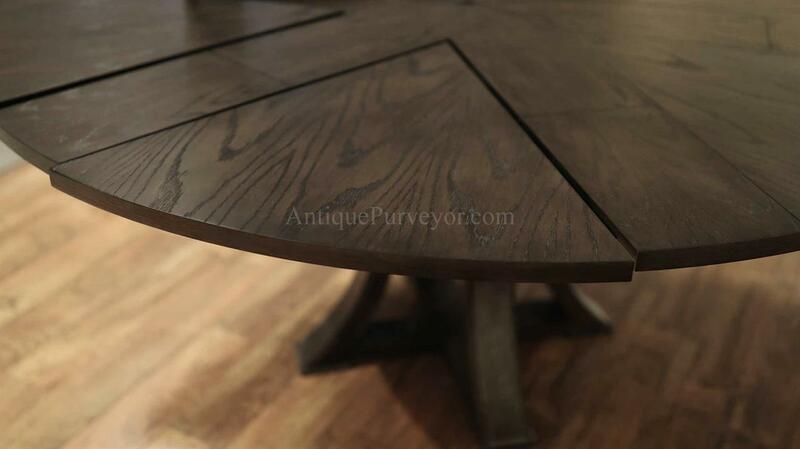 Description: 54 to 70 inch round to round expandable jupe table. 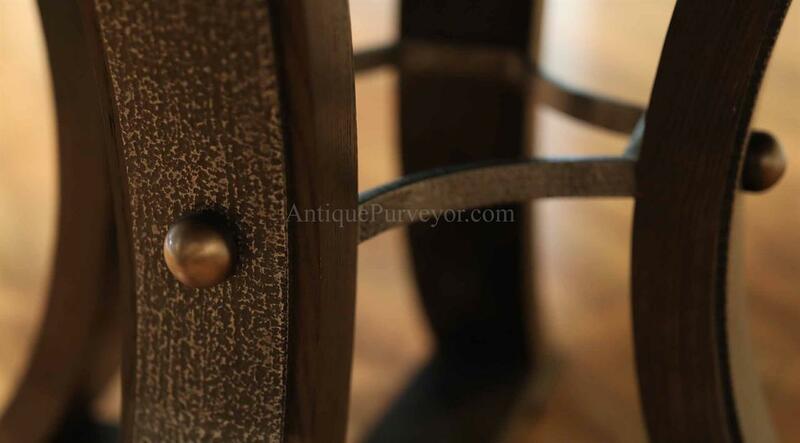 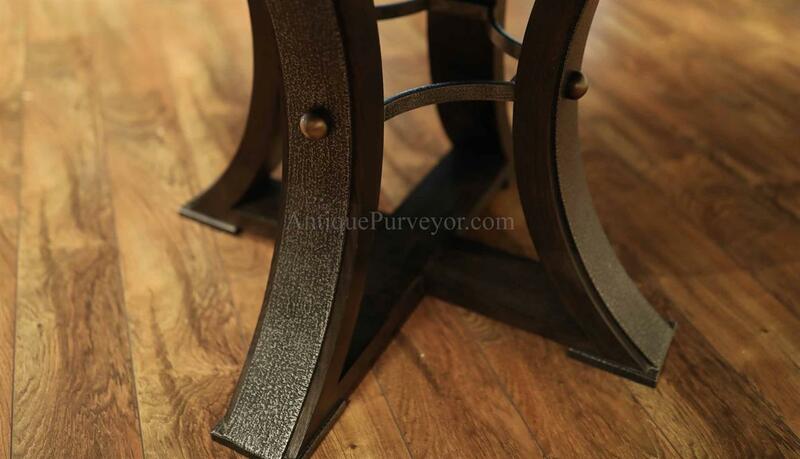 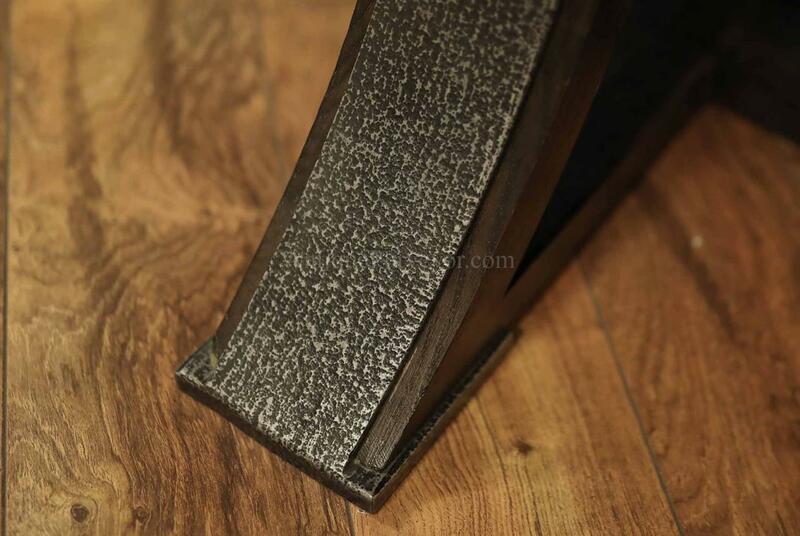 Dark gray, wire brushed table oak on textured iron saber leg pedestal. 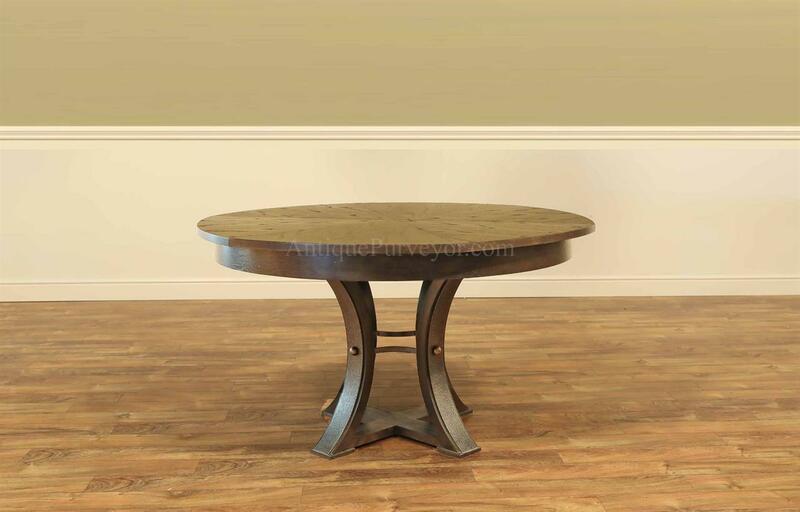 This table will seat 4 to 8 people.